When the cap is first removed there will be a 'pop' noise, meaning the airtight, tamper evident seal has been broken, and the product is safe to consume. 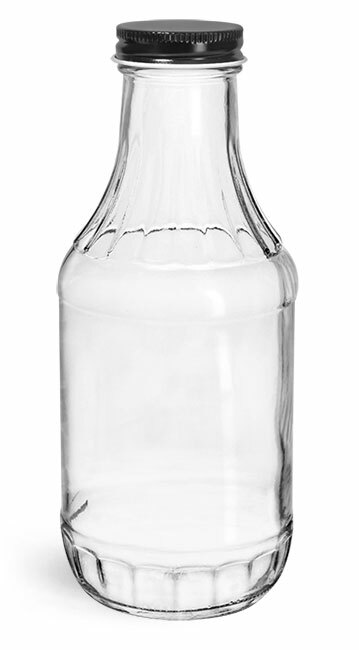 This clear glass sauce decanter bottle is paired with black metal plastisol lined caps. The plastisol liner, when heated and cooled properly, will adhere to the rim of the bottle. 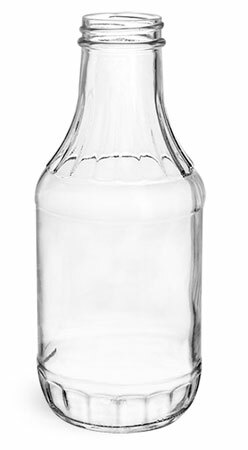 This bottle could be a good option for packaging a variety of sauces and toppings.